There’s a lot of buzz on the internet today about Google making another change to its PageRank numbers. Many sites were taken down a point (or two, or three). Last month I wrote a little bit about this, but today there seems to be a huge discussion surrounding the issue. 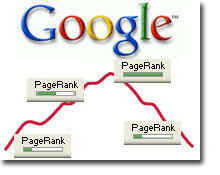 Read more on how Google is Changing the PageRank Algorithm.